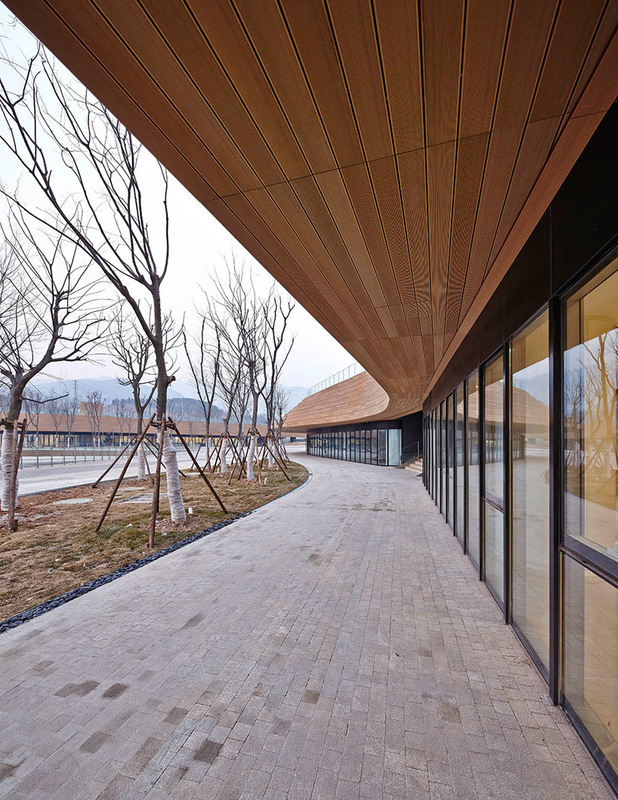 using architecture, the environment and human response as the three elements to influence their architectural strategy, beijing-based firm HHD_FUN has designed the ‘earthly pond service center’ located in quindao, china. 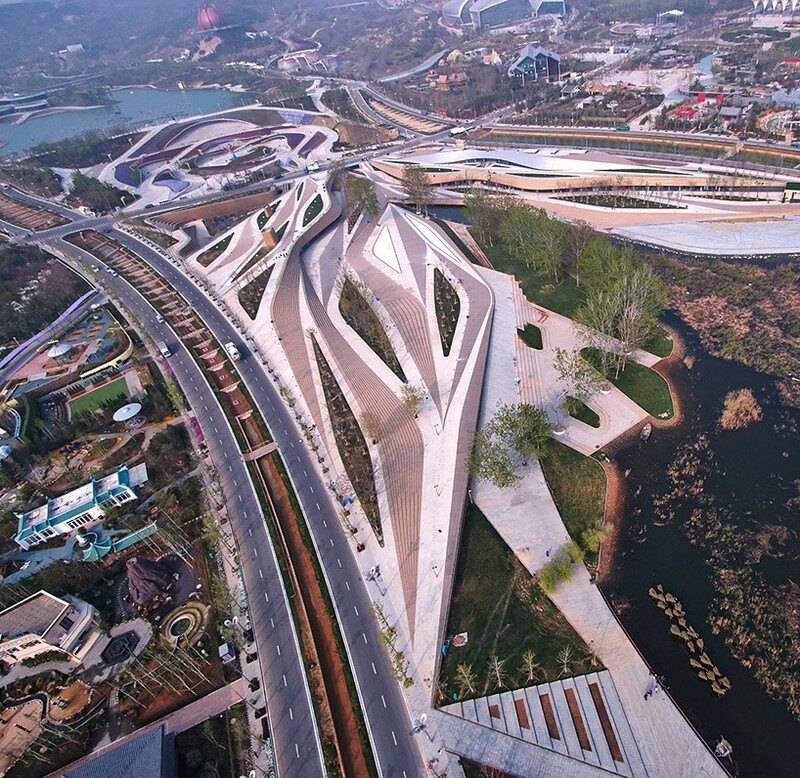 the fluid, distinctive form of the complex is one of the two designs for the international horticultural exposition also crafted by the practice. 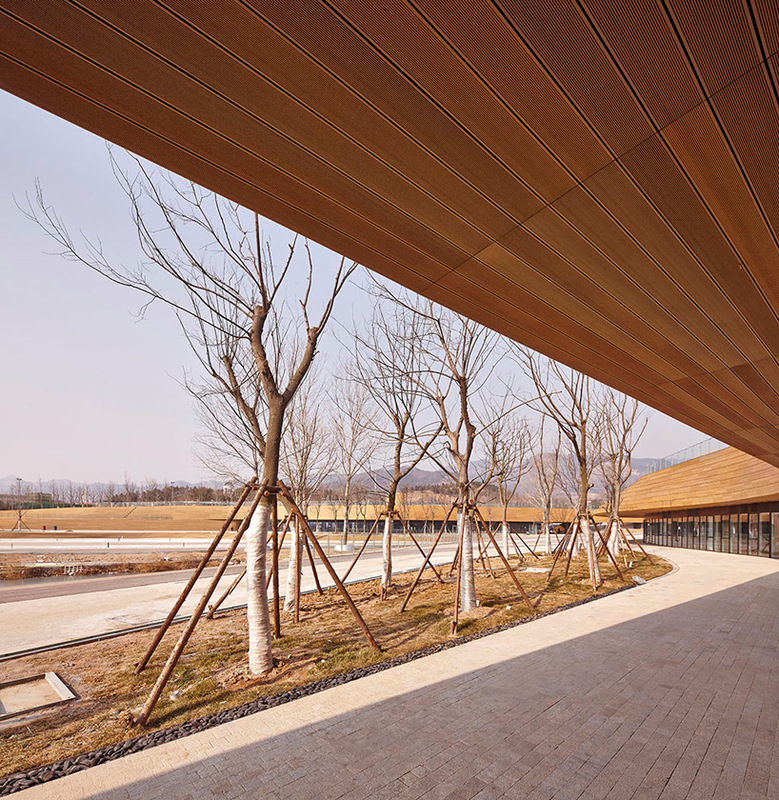 working with the topography of the landscape, the arrangement of spaces is carved into the natural gradient of grounds which results in the contrasting heights and inherently forms the different routes, giving visitors glimpses of different elevations. 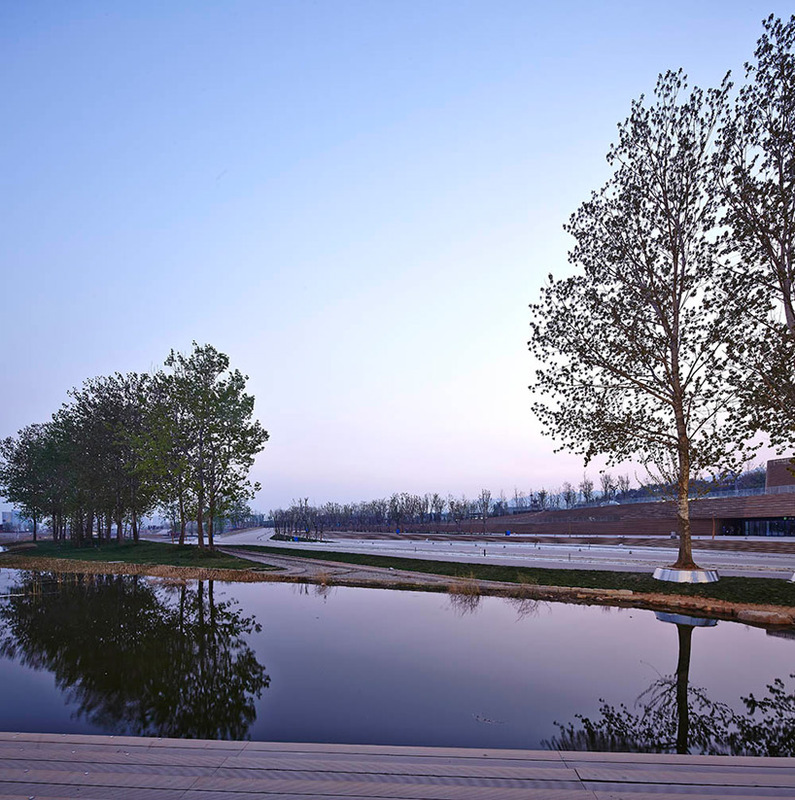 the service center itself is situated at the lower ground levels enabling easy accessibility and tranquil views of the dotted water features. from an aerial point of view, there is a diamond-shaped grid system apparent to the design, this was achieved by adapting and working with the variations in landform and functional needs. the higher level has a rooftop platform with an observatory deck and various public green spaces. preservation of the existing landscape was a predominant consideration where a lot of the vegetation that exists on the site has been preserved in their entirety. 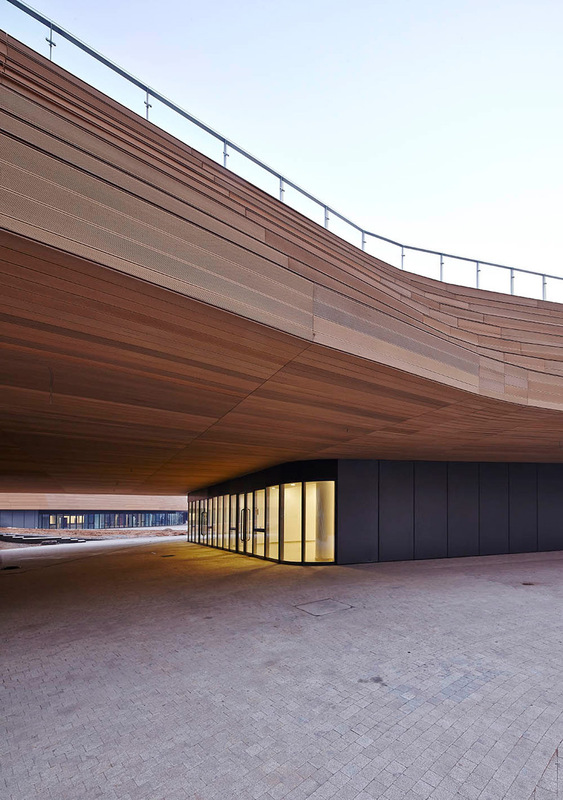 the resulting geometric and contemporary design fuses architecture and landscape together delivering a cohesive and distinctive green space for visitors to enjoy.